Jacquelyn Martin/The Associated PressIn a tour of the country, FHFA Director Mel Watt is explaining HARP and its potential benefits to American homeowners. The 30-year fixed-rate mortgage hit a 2014 low last week at 4.1 percent, according to Freddie Mac's weekly Primary Mortgage Market Survey, reinforcing the idea that now is a good time for homeowners to consider refinancing their home loans. Many homeowners had the opportunity to refinance during the Great Recession through the Home Affordable Refinance Program -- or HARP -- but now many Americans think this program doesn't apply%VIRTUAL-pullquote-"800,000 more families nationwide ... would benefit from the HARP program if they would just step forward...."% to them. That assumption may be costing them. 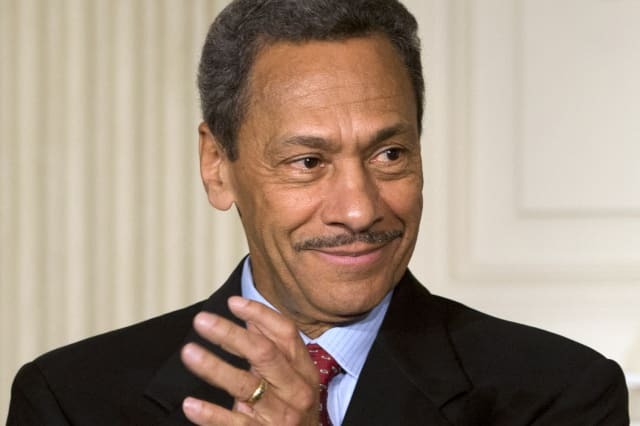 In a tour of the country, Mel Watt is explaining HARP and its potential benefits to American homeowners. Watt, the new head of the Federal Housing Finance Agency, said millions of homeowners have used HARP to save an average of $200 a month on their mortgages, and "800,000 more families nationwide that would benefit from the HARP program if they would just step forward," NPR reports. What Is HARP? : Homeowners who owe as much as or more than their home is worth may struggle to find a lender willing to refinance the loan, even though making the loan more affordable could be beneficial to both the lender and the consumer. Borrowers may be eligible for HARP if their mortgages are owned or guaranteed by Freddie Mac or Fannie Mae, the outstanding loan is more than 80% of the home's value and the borrower is current on mortgage payments, with 12 months of good payment history. There are other factors that determine a borrower's ability to refinance through HARP, which are explained on HARP.gov, and homeowners should consult their loan servicer when exploring refinancing options. Of course, not everyone qualifies for refinancing, nor is it always the best choice for consumers, despite welcoming market conditions. If you're considering refinancing, it's important to weigh its potential rewards and your financial situation, as well as checking to see if your credit standing has improved since you took out the loan. Whether you're considering refinancing because of the appeal of HARP or the opportunity to take advantage of historically low rates, make sure you check your credit before you apply for refinancing.Your credit standing has a significant impact on the mortgage rates available to you, and you may have access to better rates if you wait several months to improve your credit before applying. You can get two of your credit scores for free on Credit.com and check your progress with score updates every 30 days.